Named after Charlotte Walter, Charlotte’s Trophy is an annual fixture and Memorial Day at Dallas Burston Polo Club to celebrate the life of Charlotte who sadly passed away in 2013. Sponsored by her family, 2019 marks the third consecutive year of the arena tournament, held in support of Helen & Douglas House. The Oxford-based hospice was set up to help children and young adults with disabilities, and provided much needed and much appreciated support to Charlotte and her family during and after her time spent in their care. The funds generated from the event provide crucial funding for Helen & Douglas House, allowing them to continue to offer the specialist facilities and care to those who need it most. Charlottes Trophey is held at Dallas Burston Polo Club, in the club’s 2.4-acre all-weather SuperArena®. The annual tournament marks the end of Dallas Burston’s Winter Season, and is also the first event of the calendar year. 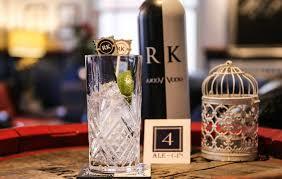 This offers the opportunity for members, and non-members to experience the club’s hospitality. So What Happened At This Years Charlottes Trophy? 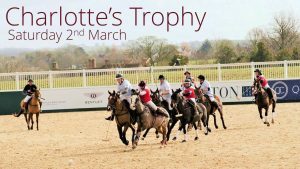 Held on Saturday 2nd March, the 2019 instalment of Charlotte’s Trophy was welcomed with bright sunshine flooding the arena; a perfect setting for the celebratory day. The club’s onsite restaurant The Millstone Hare provided the backdrop for the spectators, keeping them well-fed and watered (courtesy of RK Vodka) throughout the day; while Joe North provided the commentary to keep everyone up-to-speed, and thoroughly entertained. The day saw three dramatic clashes between five teams, with one crowned victorious at the end of a gruelling and gripping battle. Following a tense final fixture Oxford Polo reigned supreme, and were presented with their trophy by Major Richard Carney MBE, Director of Group Operations for the Dallas Burston group. The prize-giving ceremony was followed by the raffle draw, conducted by Charlotte’s mother, Sue Walter. The raffle alone raised a mighty £1,000 for Helen & Douglas House, which was greatly appreciated by both the Walter family and the hospice itself. If you missed this years event, make sure you pop it in your diary for next year to save disappointment. Dressage Schooling For Polo Ponies? Walt Disney And The Sport Of Polo Easter: Egg-citing Facts!